Kama (not karma, though that is also important). 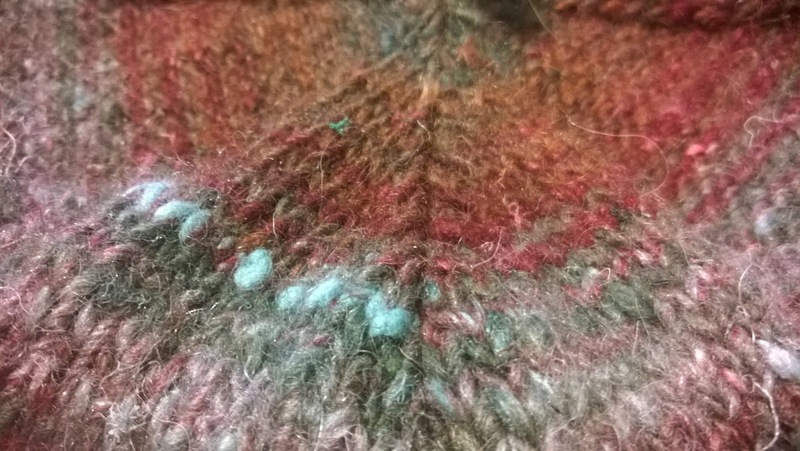 Kama is Noro yarn of which 1/4 is silk, so it's a bit less woolly than some of their others. 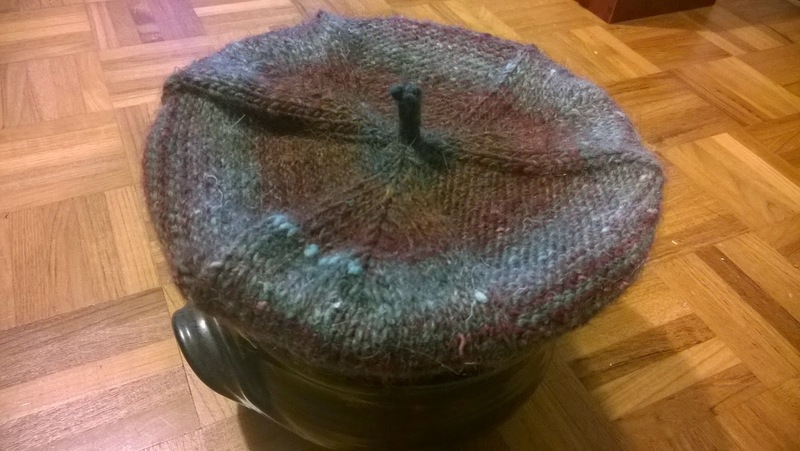 The colourway I had it in (05) may well not appeal to most; muddy green, deep red and a touch of pale pink anyone? (I did consider removing the pink part entirely, I must admit). This may be why it was in the bargain bin at £5 a ball, which is practically half price, I cannot walk past a bargain even a weirdly coloured one. So, the request came in for a hat for my mother which needs to go with her navy blue coat. I ignored this instruction and decided to make her a muddy green, red and pink hat instead. Also, I needed a break from those squares. I really did. Excuse the crap photos, it is STILL NOT DRY despite having been wrapped round this plate for 24 hours. 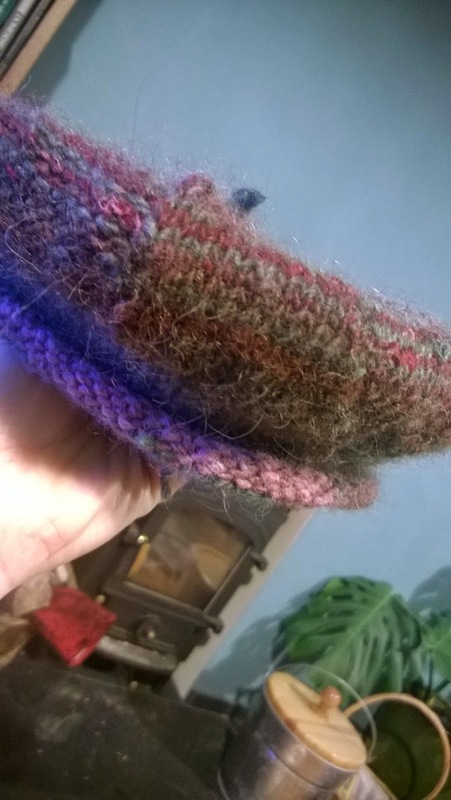 I used my two skeins to knit alternate rows to see what would happen, and I got a quite pleasing effect in the end, with a stripey bit round the main part of the hat and a red crown. And it really does look like a propellor. And now I am really behind on the Kaffe knitalong.I might have some wine.